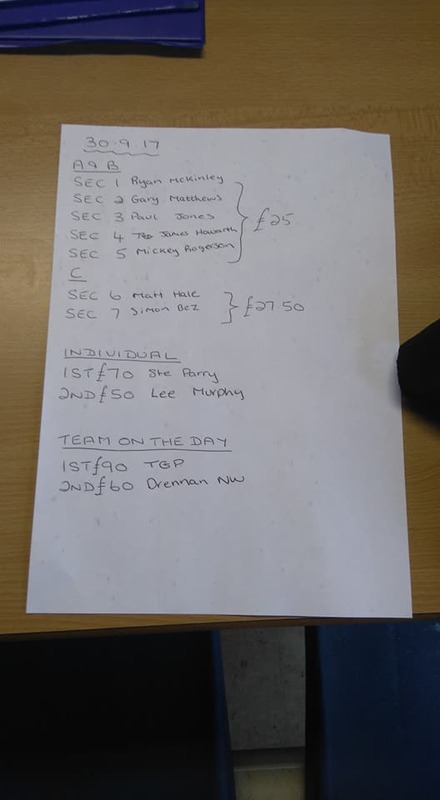 Today i have been to the cunneries fishery for the teams of three where we was lying in fourth place so needed a good result if we wanted to move up the table and after being at Weston pools for the last few weeks , I was a bit rusty with my F1 fishing and to be honest i felt it would have been better for another squad member to take my place if they had attended the opens in between rounds , but anyway it was the usual team for the match and on the morning of the contest the weather didn’t look to bad with it being overcast with a light breeze but we was due to get even more rain during the day because recently it hasn’t stopped raining . 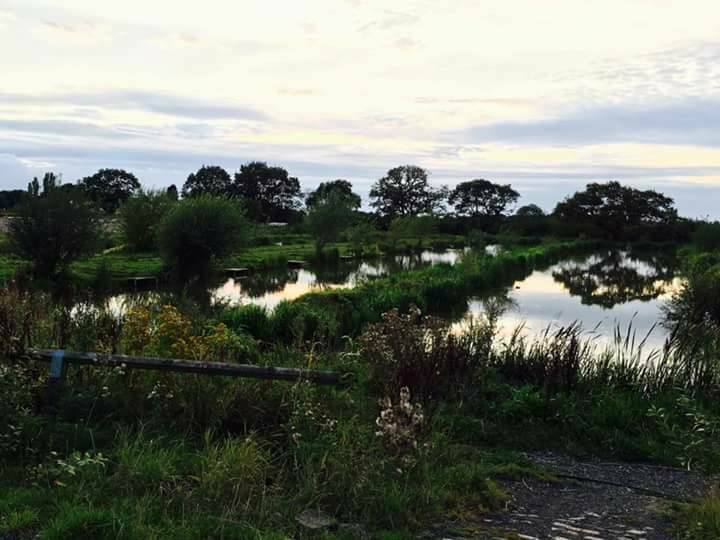 On arriving at the fishery i booked on to the match and grabbed something to eat before having a chat with a few of the other anglers and we all agreed that it could be tough going today apart from those pegs opposite end to the car-park which had the benefit of a ripple . 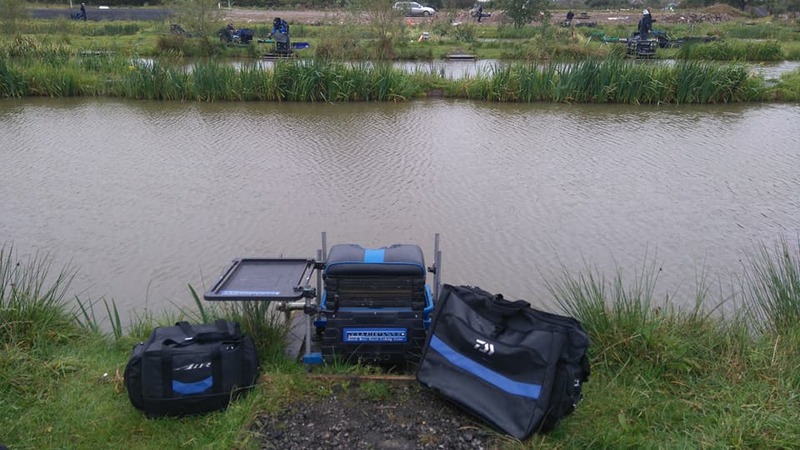 It soon came round for the draw and yet again I dipped in the bag of doom for the team it’s not as if im a draw bag or something , i pulled out my usual end peg then a couple of poor pegs China was on peg one s canal, John was on peg fifteen hawk and I was on peg forty-four s canal . Top kit plus one which was positioned at the bottom of the near slope and i used a 4×12 roob styled float which had an inch spread bulk starting above the 010 garbo hook length , my main line was the usual 014 garbo and hook was a size twenty guru lwg which had a micro bait band attached . 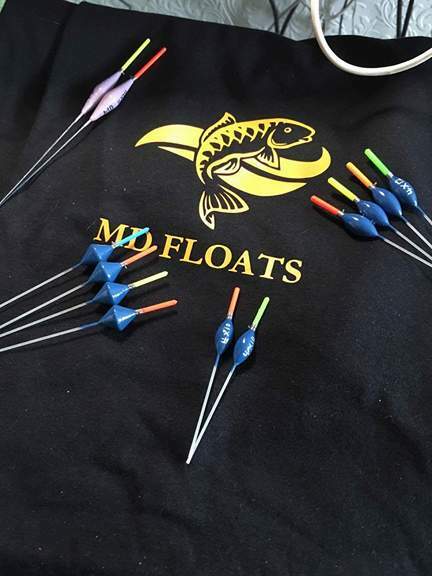 Three foot rig for fishing in front of the far bank reeds and my right hand empty platform , i used a 4×12 MD maggie float with a bulk plus dropper shotting pattern and my main line was the usual 014 garbo which had a four-inch 010 garbo hook length attached . I also set up a track swim at six meter to my right and left i felt that this was enough distance apart to allow me to try different feeding patterns , i used a 4×12 Md maggie float with a bulk plus two dropper shotting pattern and my main line was the usual 014 garbo which had a four-inch 010 garbo hook length attached . When the all in sounded i started my match on hard pellets on my top kit plus one and by throwing a couple of 4mm pellets around my float every couple of minutes i managed six f1s in the first hour before it died on me, I then swapped to my across line with maggots feeding through a small kinder pot this just produced the odd fish and despite trying a few different things it never really got going , I even switched it to pellets which didn’t improve things and i was scratching my head on what i should try next but at least i wasnt the only person struggling because i hadn’t seen many fish come out so far . With the last ninety minutes of the match fast approaching I decided to spent it down the track i fed one swim with micros the other with maggots just so i could see which one if any of them worked the best , i started on my right hand maggot line and i kept laying my rig in different ways to help get me a few bites but it was proper hard going , i finally began picking up the odd fish but the only trouble was I kept losing fish on the strike and despite trying lots of different things nothing really improved it was as if the f1s were coming into the swim but backing away from the feed . When i switched to my left hand pellet swim and for some reason i just kept missing bites so i decided to try double maggot on the hook over the top of it , this finally produced a run of fish before i was back losing fish and it was leaving me a bit frustrated .At the all out I ended up with a disappointing 34lb which was only good enough for me to win my money section but ended up 7th on the lake, I definitely had enough fish in front of me to challenge for the top three as i lost nearly fifteen f1s during the match and a low 50lb was needed to get into the frame but lack of recent venue knowledge cost me , the other lads didn’t do much better as we ended up fifth on the day and we are now ten points behind third place with just a couple of rounds left i think its going to be hard to pull the deficit back . 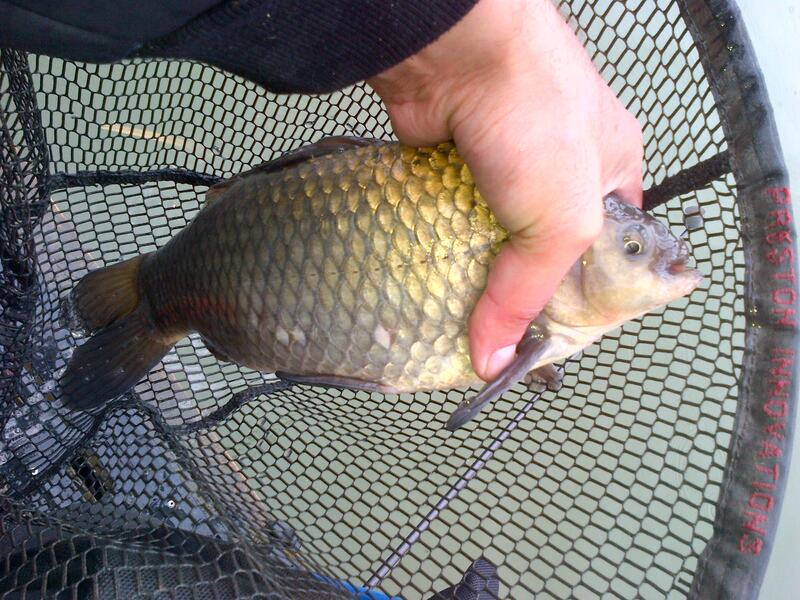 Anyway off to Herronbrook fishery tomorrow for the teams of four let’s hope I do better on there.